For me half the fun of travelling is seeing and doing, and the other half of the fun is eating. I like to eat ALL the things. 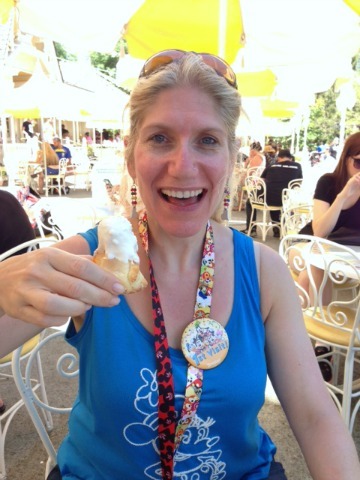 Disneyland was no exception, because after all, I had a half marathon to carb load for. 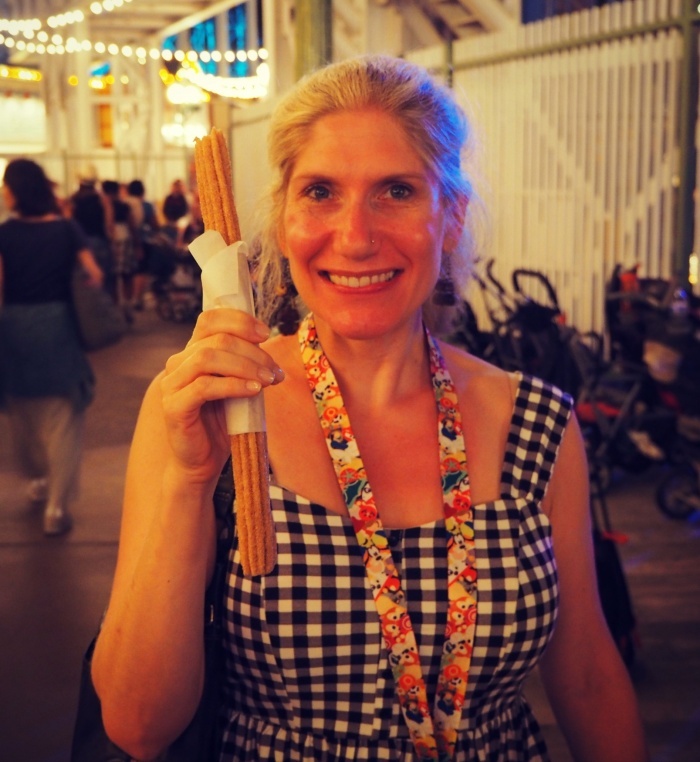 So I did what any smart person would do, I asked the experts in the Disneyland Half Marathon Facebook Group about the best treats to eat in the happiest place on earth. 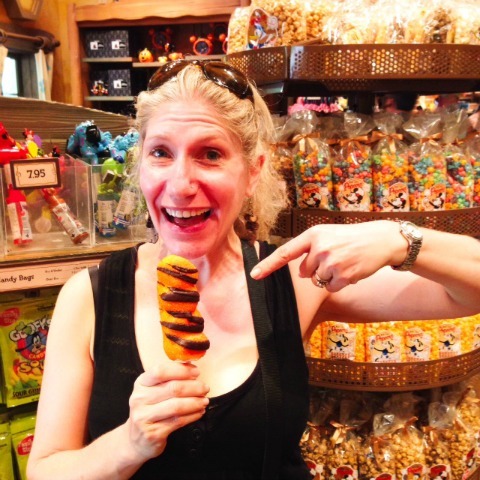 You’ll be hard pressed to find healthy treats in the happiest place on earth, but you will find sugar rich, fat full foods unique to Disney, most of which should carry a government health warning. But they’re delicious all the same. David and I were tight on time and short on belly space but we made a valiant attempt to work our way through the most popular Disney delicacies. We rated and reviewed each and every one, and the results are in. You’re welcome. All I knew about Corn Dogs was that Kid President loves them. And I thought if it’s good enough for Kid President, it’s good enough for me. 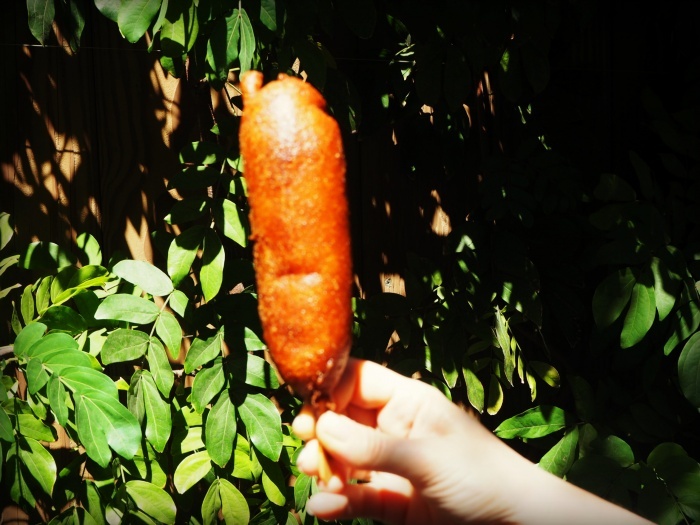 That was until I found out that a corn dog is actually a hot dog sausage dipped in a thick layer of cornmeal batter , deep fried and then served on a stick. It made my arteries harden just thinking about it. 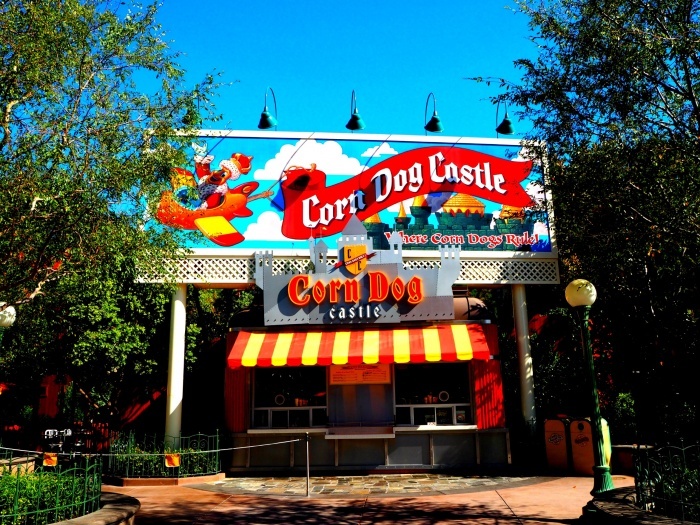 In the name of research, we hot footed it to Corn Dog Castle in Disney Californian Adventure because legend has it that this place serves up the best corn dogs in the happiest place on earth. We splashed out on a corn dog and chips combo. Don’t forget chips are crisps in the US so if like me, you were expecting some hot salty french fries you will be sadly disappointed. The corn dog didn’t really look all that appetising so we doused it in ketchup and mustard to give it a splash of colour and some added flavour. 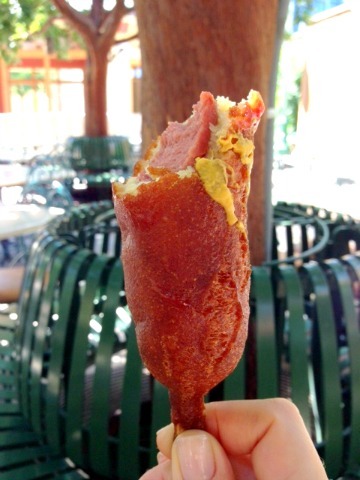 I regret to say it neither improved the taste nor the appearance of the corn dog. Our verdict: Tasteless and really rather ugly. 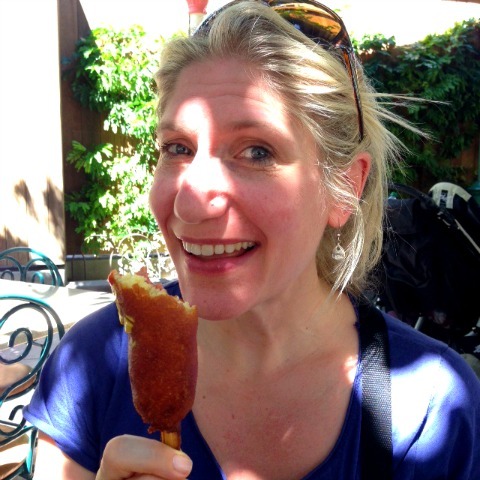 Corn dogs are definitely an acquired taste, just not one that we are likely to acquire. It was fun while it lasted which wasn’t long. This giant lolly can only be bought at Pooh Corner which is full of the cutest gifts and sugar rich baked goods. I got a sugar high from just looking at the display cases. Frozen fans will find lots of sweet surprises here, I promise! 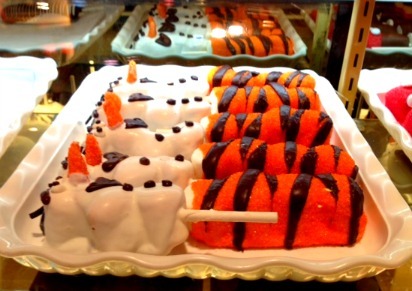 A Tigger Tail is basically a big marshmallow dipped in caramel, covered in orange sugar and drizzled with milk chocolate. Think sugar rush on a stick and you have the idea. Feed it to kids and watch them fly. Our verdict: Pretty as a picture but seriously sweet. This is the ultimate sugar overload. 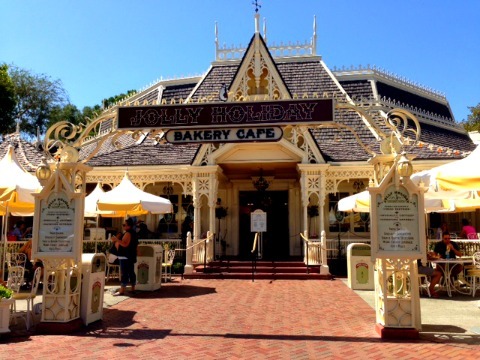 There is so much to choose from at this delicious looking bakery at the end of Main Street, but we came in search of the famous Matterhorn Macaroon. This is like one of those coconut pyramids your granny used to make, only this one is pimped up with a drizzle of white chocolate, to look like more like a mountain, the Matterhorn, to be precise. 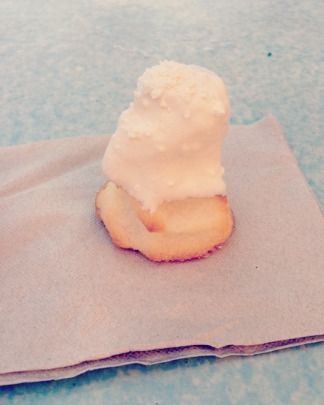 I am sure eating the macaroon is far more enjoyable than riding the attraction with the same name. Our verdict: Truly delicious. The perfect afternoon pick-me-up. A must try for the coconut lovers! 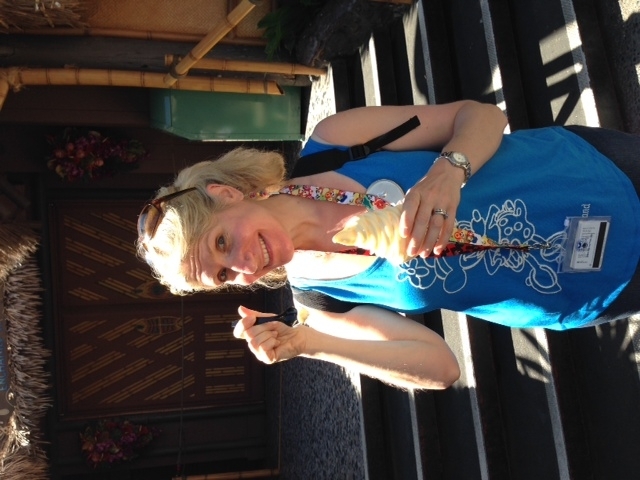 I am sure that at least one person said that eating a Dole Whip is their number one thing to do in Disneyland. 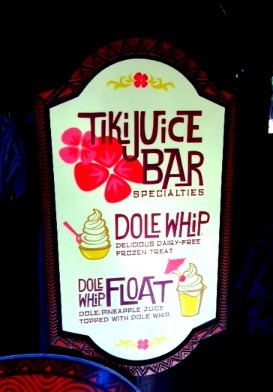 Another told me that the lines get so long, someone should invent a Dole Whip Fast Pass! 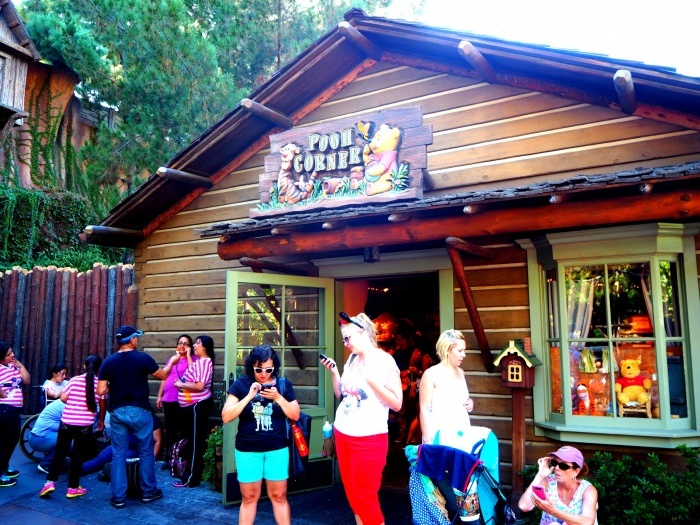 Praise be to the lady at Pooh Corner who told us to get there early, before the lines got too long, or heaven forbid, they sold out! 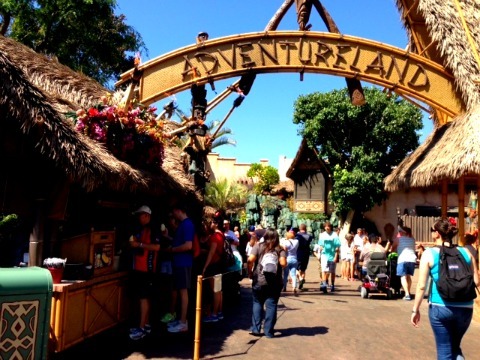 If you’re feeling very adventurous, (you are in Adventureland, after all,) you can try a Dole Whip Float for $5.19, or if you want something to remember your Dole Whip by, just order the take home Tiki Bowl, a snip at $7.79. 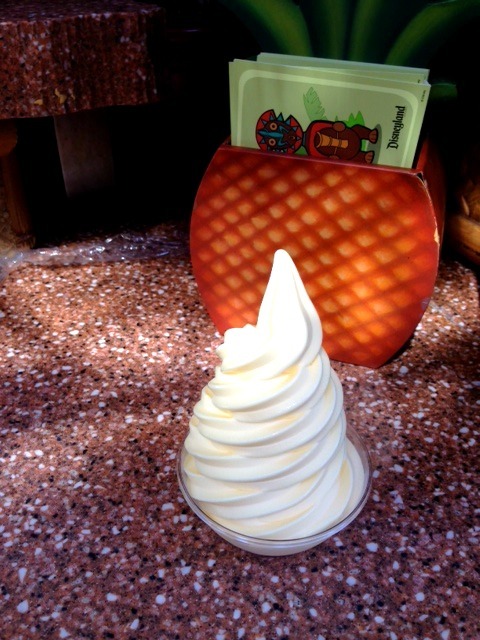 Our verdict: 4.5/5 Just about the best way to cool down in Disney! This sandwich is a monster. 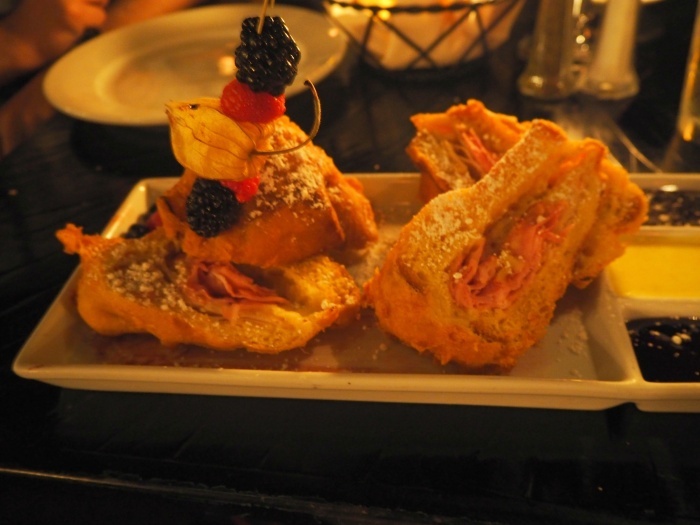 It’s basically a deep fried ham and cheese sandwich and it’s surprisingly sweet. It’s actually served with vanilla cream and blackberry and raspberry conserve and it is really rich. Tackling this sandwich is a task for two people. And even then bellies may be defeated. We suggest enjoying it with a side of the famous gumbo and if you have room some stomach space, the famous pomme frites come highly recommended. If you want to munch on a Monte Cristo, remember that it’s only served at lunchtime, I’d hate for you to rock up at dinner and be disappointed! Our verdict: What could be wrong with a deep friend ham and cheese sandwich? If you’ve been to Disneyland, what’s your favourite Disney delicacy? And if you haven’t, which one of these would you most like to try?